Hello, and happy Wednesday! I hope you’re enjoying an amazing week and that the weather outside your window is prettier than the dreary, rainy scene I’m experiencing today. It’s at this point in the year that I begin to think on rainy days … “what if it were about 30 degrees cooler … I wonder how much snow this would amount to …” #teacherlife 🙂 I took a rare mid-week personal day today to attend the weekly chapel service with my daughters at their school, catch up on grading for all of my classes, ponder the possibility of (and most likely apply for) a specialist degree program in administration, wear sweatpants, drink coffee, watch Harry Potter, blog, and drink (as usual) TONS of coffee. 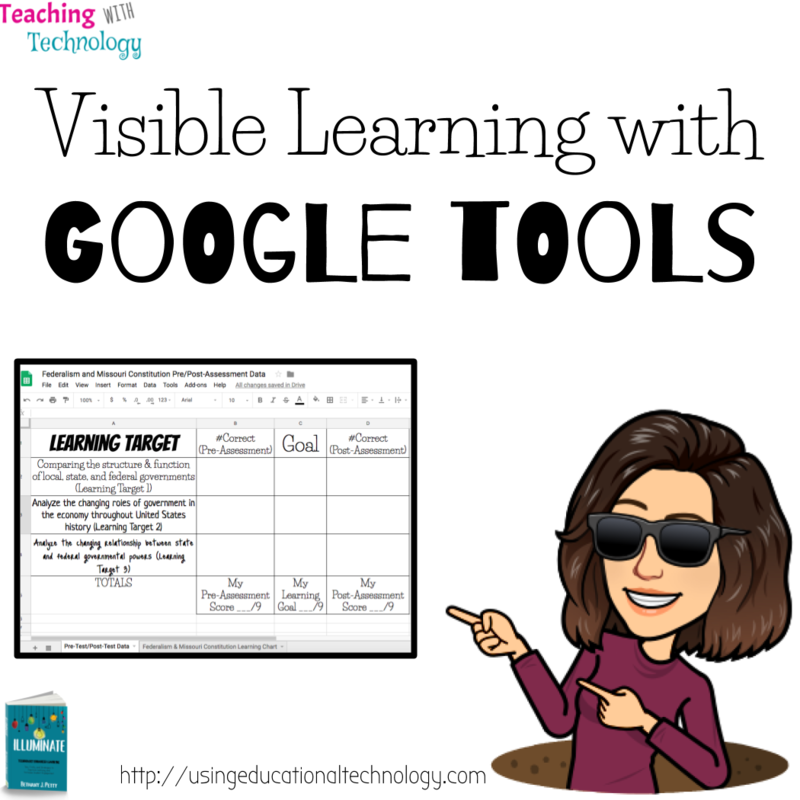 Today, I’m excited to share how my students are using Google Forms, Google Sheets, and Classroom to assess their learning and chart their learning goals, providing them with a clear idea of where they are, where they’re going, and how they’ll get there … visible learning. One of my teacher goals for the school year is to use pre and post-assessments for every unit so my students can actually visualize “where they are” in their learning of content. In our earlier units, I used Google Classroom to assign a Google Form that served as both a pre and post-assessment of learning. Students completed the form and viewed their score. After we completed our unit, the students took the post-assessment, viewed their score, and I walked around to them and individually reminded of their pre-assessment score. The looks on their faces were WONDERFUL! All students made great improvement over the course of the unit. Some went from 0/8 to 8/8, others went from a 6/8 to 8/8, while some went from a 0/8 to a 5/8. I was proud of all of my students and their expressions showed they were proud of themselves as well. While this pre/post-assessment routine provided both me and my students with great data (and a boost of self-esteem) I wanted to provide them with a more concrete visible learning strategy. I also wanted them to actually see “where they are” when it comes to meeting our learning standards. SO … I created a Google Sheet where students can collect data from their pre-assessment, set their goal for each specific learning target, and view their data in the form of a chart. My reasoning behind this activity was not only to provide students with a visible representation of what they’re learning but also to give them an opportunity to practice using a spreadsheet to collect and view data <– one of those “real-world skills” that will help them outside of my classroom as well. 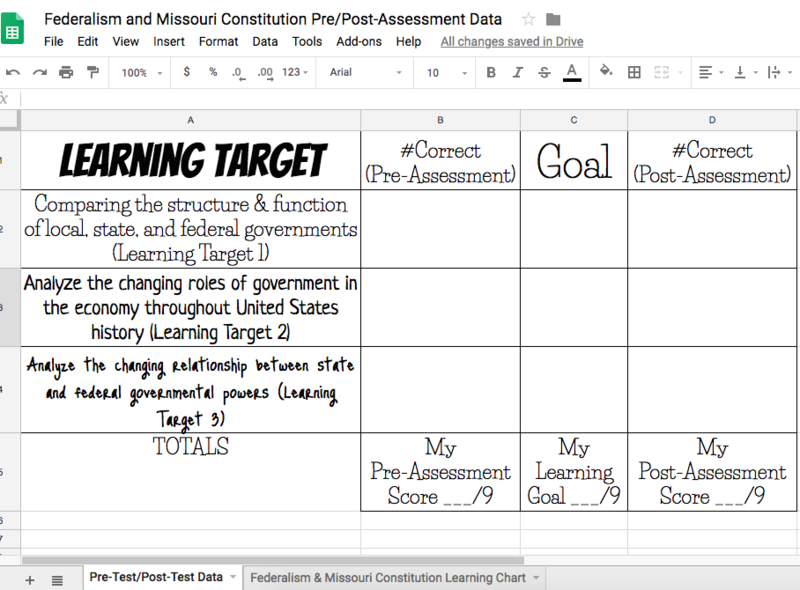 They enter the data on the “Pre-Test/Post-Test Data” sheet and then can view a learning chart on the “Federalism & Missouri Constitution Learning Chart” sheet! If you’d like to use this activity with your students please click here to make a copy of the Google Sheet. Then, edit your standards and assign the spreadsheet to your students via Google Classroom. Done! How do you encourage your students to visualize what they’re learning? Hello, friends! I’m writing to you this morning, refreshed and exhausted at the same time after coming back from our week-long beach vacation in Destin. The sand and water were fantastic! I probably could have used a bit more sunscreen … but, oh well. I’m pumped to continue my F.I.E.R.C.E. Teacher Series with the first of the “Es” … let’s talk about being an excited and energetic teacher! I’m generally an excited person, both inside and outside the classroom. If you’ve ever been to one of my presentations or workshops, you know that I always introduce myself and then give attendees a fair warning that, whenever I talk about something that I really like, I get super excited and start talking really fast. It happens! That’s just how I roll, friends! 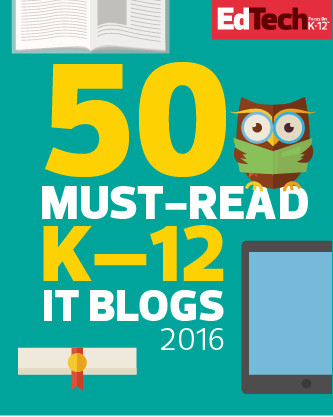 I’m pretty much the same in my classroom, and it helps that I’m a huge geek about my content area. I realized, however, toward the beginning of my teaching career that everyone doesn’t get quite as hyped about the functions of the branches of government, Constitutional Amendments, and landmark Supreme Court cases as me – weird, right?! 😉 So, in order to engage my students in our content, I need to be excited about the content. Can you imagine walking into a class that you’re not particularly pleased about taking and the teacher is dry, boring, and clearly NOT excited about teaching you? How horrible would that be? 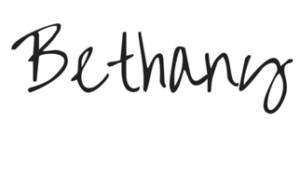 So, even on the days that I’m not 100% excited to be out of my jammies and my recliner, I’m making it my mission to be excited about not only what I’m teaching, but the fact that I get to teach – sit back and think about the fact that we GET TO TEACH. We GET to have a direct impact on the future. How cool is that?! In what other professions could we have this kind of influence? Get excited! We get to teach! My students often say that they have no idea how I have so much energy. My daughters are 5 and 7 and still don’t sleep through the night. When they wake up for milk or a trip to the bathroom, they don’t wake up their dad, but instead, insist on having Mommy help. I’ve asked them why they don’t wake up my husband, and they both reply, “Mommy, Daddy is asleep.” Ohhhh, he has them trained! Being an energetic teacher is hard, especially when we’re tired, don’t feel well, or when the kids don’t want to let us go when we take them to school or the babysitter in the morning. However, I’d much rather be excited about what I teach and energetic in my classroom than, for lack of a better word, “blah.” My students can expect me to “drop mad beats” and “spit bars” about our content if they need help remembering the concept of federalism or the difference between dual and cooperative federalism. They can expect me to stand on tables to make review a bit more fun and do toe touches for moral support before they take a test. How can we be energetic about teaching, even when we aren’t? That’s a million dollar question, isn’t it? As for me, I try to take a “when my feet hit the floor in the morning, it’s go-time” attitude. And God and coffee. Lots of both. Check back soon for the “Rs” of the F.I.E.R.C.E. Teacher Series! I hope you’re having a fantastic summer! Hello, all and happy Friday! We’re preparing for our week-long beach vacation today and are getting REALLY excited to dip our toes in the ocean on Sunday! As our vacation has been getting closer, our oldest daughter, Hanna, has been really concerned about and interested in the weather in Destin, Florida – our vacation spot. She’s been asking to check my phone to see the weather in Destin which means I’ve had to add Destin to the “places” on my weather app. I noticed yesterday, though, that instead of checking the weather app to see if it’s raining in Destin (her worst nightmare!) she’s been asking Siri to tell her what the weather is like in Destin. We’ve also been asking Siri to tell us what the heat index is in our hometown to help us determine whether or not playing outside is the best idea – it is HOT in Missouri! Our youngest daughter, Molly, was curious yesterday about how to say “ouch” in Spanish. She didn’t even hesitate to yell out, “Hey, Siri! How do you say ouch in Spanish?” It’s so neat to watch my daughters, ages 5 and 7, effectively utilize technology in a positive way, which led me to think about how my classroom has changed (and needs to continually change) to become an environment in which students utilize the available technology in a positive way. A few weeks ago, I attended and presented at CORE Academy at my alma mater, Southeast Missouri State University, and was able to meet some pretty amazing educators. 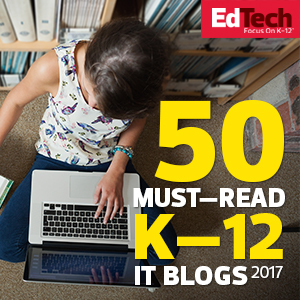 One of them, Alice Keeler, delivered a keynote that really resonated with me – she discussed how technology like Siri or Alexa has changed the way our kids find information. Alice mentioned that her kids ask Alexa questions daily and that they know that they can “shout questions to the universe” and get an answer. 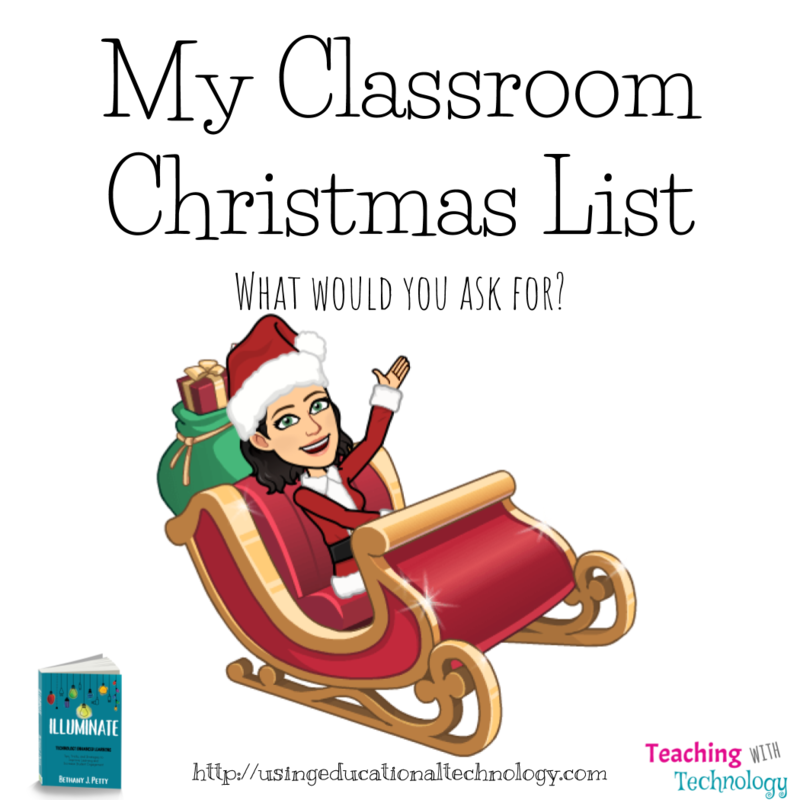 As I was listening, I began to think about the questions that I ask in my classroom – verbal questions, assessment questions, formative assessment questions, etc. – and began assessing myself…are the questions I ask of my students, “Googleable” questions? Are they questions that my students can “shout to the universe” and get the “correct” response? Or, are they questions that make my students think about the content that they’ve learned and apply that knowledge to form a deeper understanding of the topic? I, like you, am aiming for the latter type of question. I don’t want to focus on “Googleable” questions and answers because they are just that, “Googleable.” In Illuminate, I discuss how the ability to simply recall information, such as the date that the Bill of Rights was ratified, really doesn’t provide students with a deep understanding of the Bill of Rights. Assessing them on when these extremely important amendments were added to the Bill of Rights is not really that important. What is important is that our students understand the rights that they are guaranteed by these amendments and how they have been interpreted throughout our country’s history. As I’m revamping my curriculum this summer, I’m working on incorporating “application” questions into assessments – both formative and summative. I want my students to think about our content at a deeper level rather than just memorizing facts and dates that, let’s face it, they can ask the universe and get the correct answer.